If you've yet to get down to see MeltingPot KC's production of the play the Kansas City Star calls "refreshing" and full of "creative energy" and Broadway World hails as "magnificent," you have one more chance this afternoon. 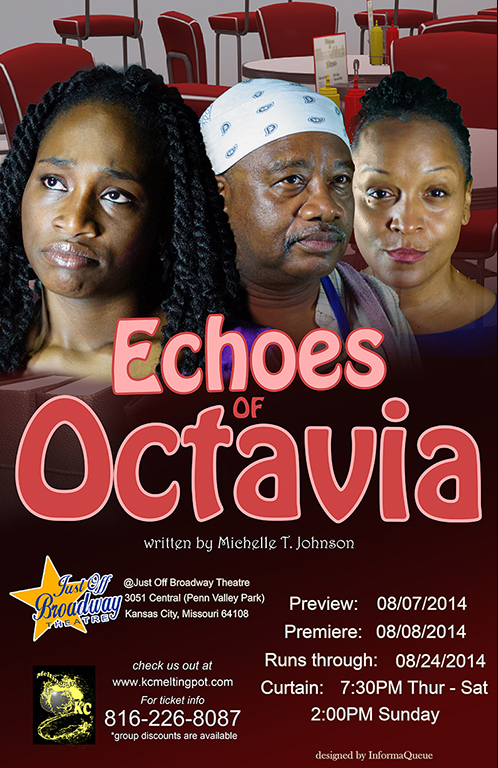 Echoes of Octavia, by MDC's Michelle T. Johnson, wraps up its successful world-premiere run today at 2 p.m., at the Just Off Broadway Theatre, 3051 Central in Penn Valley Park. Be sure to order your tickets before you go!